I love spicy food. I really love spicy chicken. It is my favorite thing to get from Wendy’s. 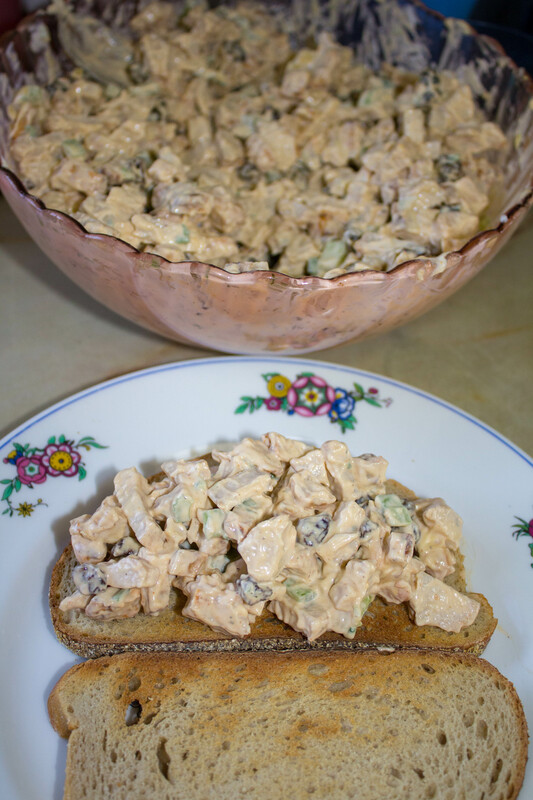 One day I wanted to make chicken salad and the only chicken I had was a pre-seasoned spicy chicken but I decided to make my chicken salad recipe anyway. I mean, Wendy’s spicy chicken tastes great in their salad. The result was so good and delicious that I make it all the time now. 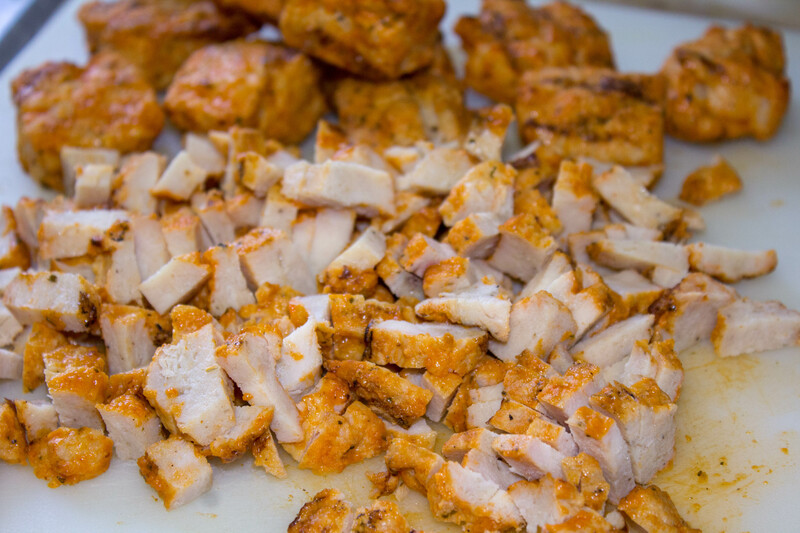 This spicy chicken makes a fantastic chicken salad. The flavors come together perfectly and simply compliment each other. 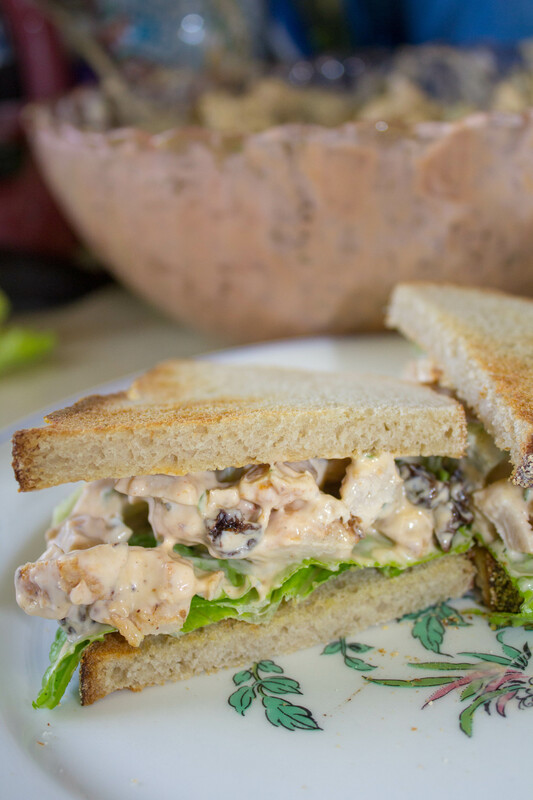 With this chicken salad recipe you don’t have to choose to make it spicy. 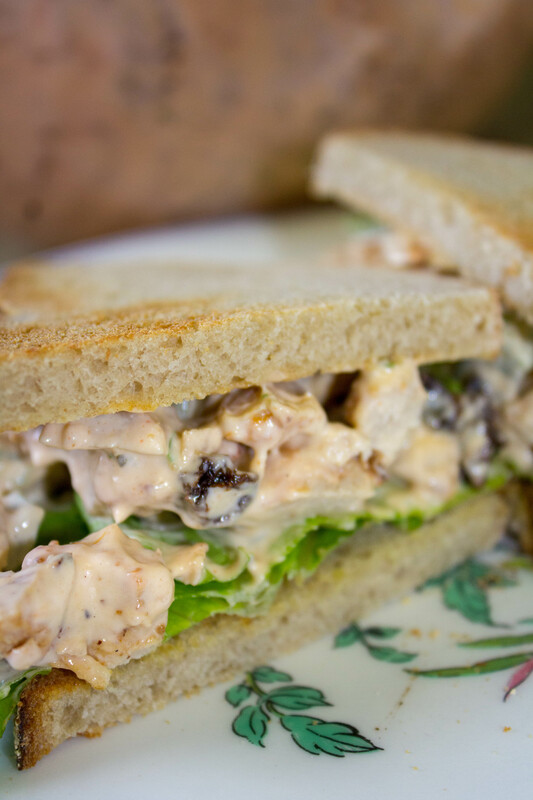 This chicken salad tastes great even with poached chicken breast. While eating a Wendy’s Spicy chicken salad, I thought how great that chicken would taste as chicken salad. 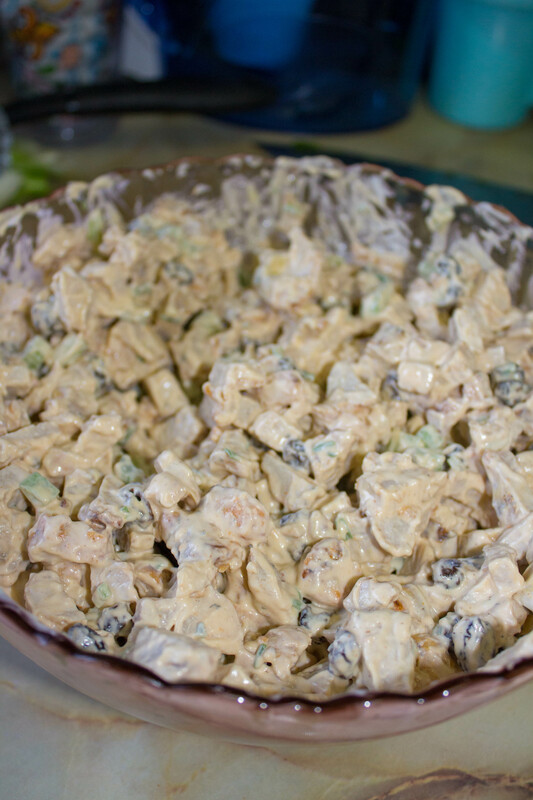 Since spicy chicken tastes great, spicy chicken salad seemed like the way to go. SO when I only had the spicy chicken ready to make, I knew it would be great in the chicken salad. 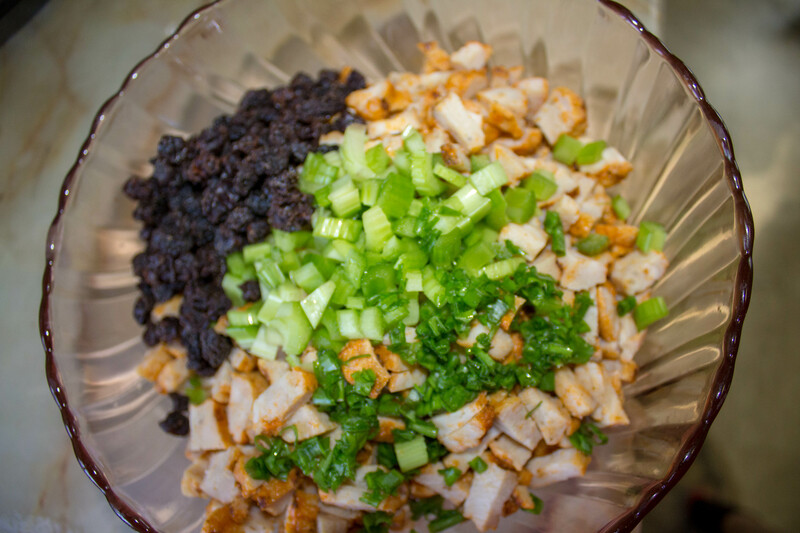 Want to make this delcious spicy chicken salad recipe? 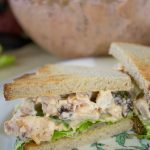 It is a great way to use left over chicken, makes a great summer lunch or dinner and it is also a great addition to a picnic. Want another great recipe for leftover? Try making Ham Spread. 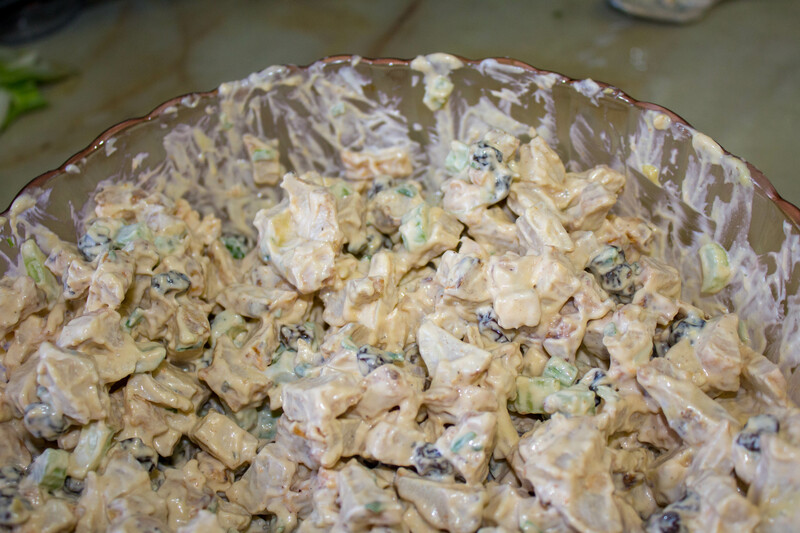 If you want other great picnic recipes, try this broccoli salad recipe or some of these Memorial/4th of July picnic recipes. 3 cups Chicken- cooked: I used a preseasoned spicy chicken. If you do not have this, simply add hot sauce until you reach the desired heat. Dice the celery and add to the chicken. 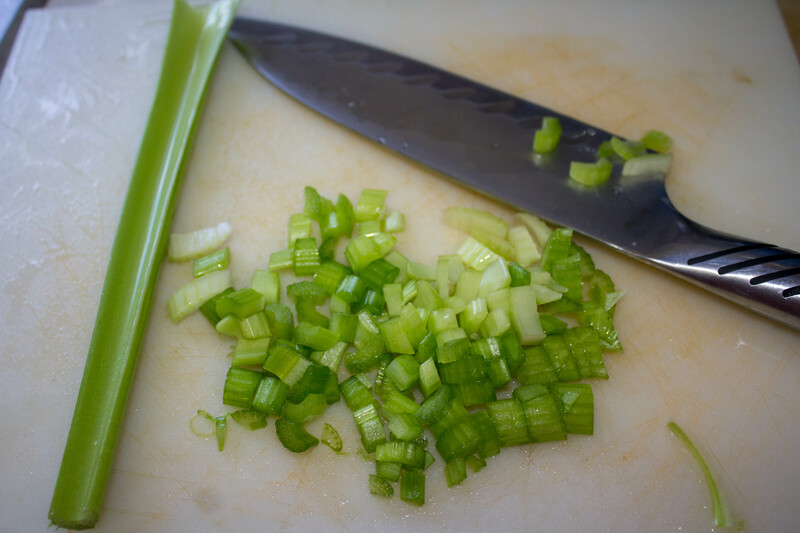 Chop the scallions into small pieces and add to the chicken. Add in the mayo and mustard and mix together. Serve on toast or eat as is. 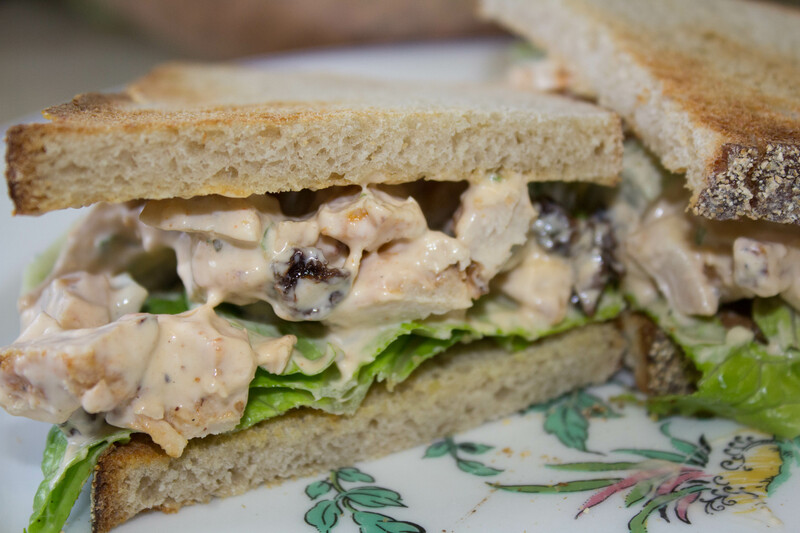 I love this chicken salad on toasted rye bread with lettuce. 3 cups Chicken- cooked: I used a preseasoned spicy chicken. If you do not have this simply add hot sauce until you reach the desired heat.